Dream Bigger. Shine Brighter. Speak Bolder. Extend your message through a brilliant display, billboard, vehicle wrap or banner. Get the most out of your creative potential and highlight your business – the sky’s the limit. You bring the spark that inspires and engages. We’ll help you bring it to life, then make it larger than life with an incredible line-up of wide format products tailored to fit your unique vision. Banners and displays that stop passersby in their tracks. Billboards that brighten the morning commute. Vehicle wraps that transport your brand across the city. Whatever the format or application, we’ll work with you to get the most out your creative potential. And we stay on the cutting edge of technology to make sure you’re there too. We can also provide expert advice and training on all facets of the sign and display industry through comprehensive product support and a dedicated Technical Sales Group. So whether you’re an industry veteran or designing your business’ first display, we’ll be there to support you with colour management, material selection, portable display systems and all the peripheral products you’ll need to be seen. Our national Technical Sales Group supports the full offering delivered by Spicers, resolves technical issues effectively and can increase profitability by reducing unnecessary costs and inconvenience caused by downtime. Our Technical Sales Group provides front-to-back solutions for all your printing needs. 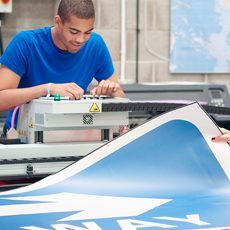 Providing traditional and advanced workflows for commercial printing and signage & display markets, our expert staff offers full implementation and training on all of our core products. Working with an array of partners, our team will help you achieve the highest possible key objectives. 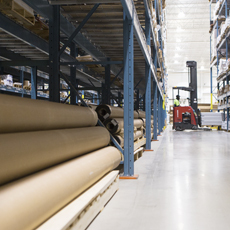 Our advanced software solutions provide you with new ways to improve your internal processes. When it comes to plates and pressroom, our team provides complete advanced screening, implementation and pressroom audits to help continuously improve the process of print quality and repeatability. Delivering excellent value and outstanding results, our private branded dtec line up is a concise range of leading quality products tailored for the most common wide format applications. Search by product, category or application to find what you are looking for. 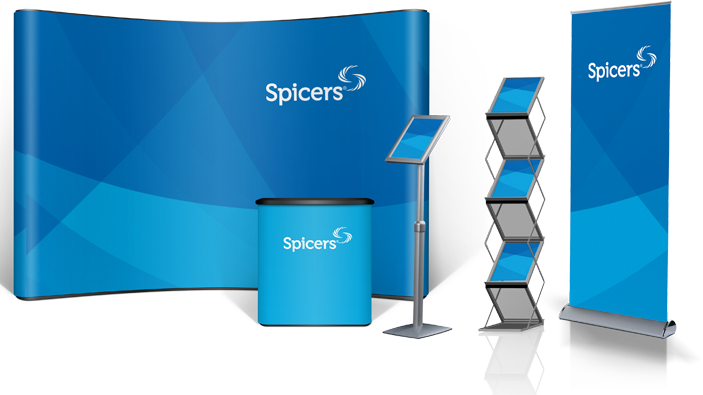 Spicers has a wide range of portable display systems to help you stand out. 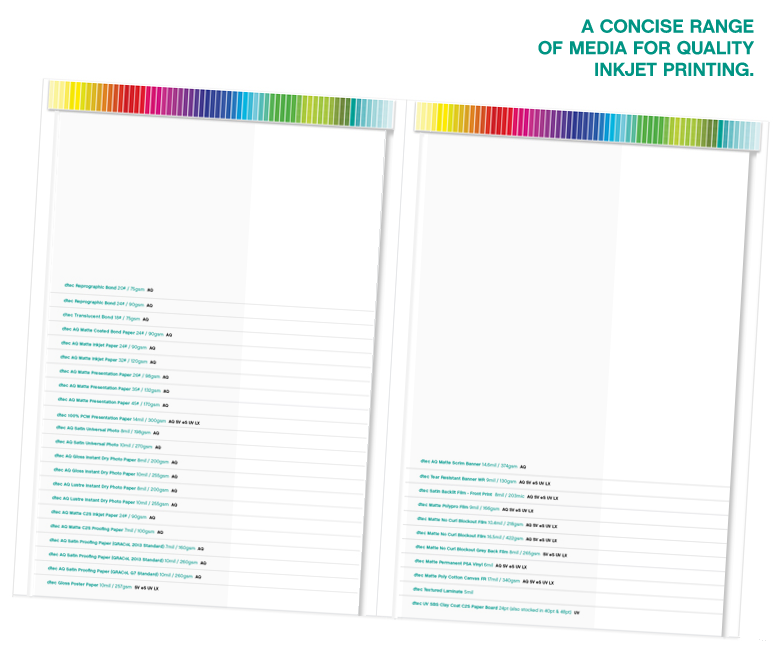 Get started by downloading the print template for your job. NOTE: All artwork templates are available in .PDF format and packaged as a .zip file for each category listed below. Please click on the appropriate category to download the templates. Individual templates are also available on GOspicers.ca.